Facebook is one of the most powerful ways to market your brand to a relevant audience of customers and potential customers who care about your product, service or niche. A strategy revolving around an active Facebook Page that provides value is critical for brands of all sizes. But here’s the thing: Facebook offers tools that allow you to reach a relevant audience and realize profits without having a Facebook Page at all. This wasn’t possible until Facebook started rolling out some incredibly powerful tools beginning about a year ago. And while I still recommend you have a Facebook Page to help nurture long-term customer relationships, here are four ways you can profit from Facebook without a Page at all. FBX is a way for brands to serve ads on Facebook to users who have visited their website or a specific page of their website. It is in no way connected to a Facebook Page. And beginning recently, these ads can now be served into News Feeds. Let’s say that a user visited a product page that you control but did not complete the transaction. You can then serve that user ads while on Facebook to remind them of the benefits of that product so that they can complete the transaction. Or maybe someone visited a page related to a specific niche or subject matter. You could then serve ads promoting products relevant to that niche or subject. There have been reports of FBX providing up to 16X the ROI of typical Facebook ads while the CPC has been up to 70% lower. If your goal is to drive sales and you don’t have a vibrant Facebook community, FBX is absolutely a tool you need to consider. Note: You can get started by advertising for free with either AdRoll (go here) or PerfectAudience (go here). That $60 credit covers advertising and all fees involved! This is a tool that was rolled out to small businesses in September of 2012 and opened the floodgates to powerful Facebook advertising. The concept: Target members of your email, phone number or Facebook UID list with Facebook ads. Once again, it’s not required that you have a Facebook Page to benefit from this powerful tool. Simply upload your email list, for example, into Power Editor to target people already connected to you. 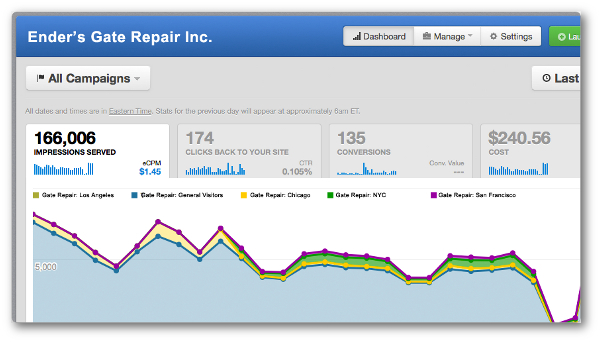 If your list is well segmented, this opens up numerous opportunities for ad targeting. Let’s say, for example, that you have a list of customers who purchased Widget 1.0 from you. When Widget 2.0 is released, you could run a Facebook ad campaign targeted at those who purchased Widget 1.0 that encourages them to upgrade. That’s certainly a powerful way to use Custom Audiences, but you could also use this tool more generally. Frankly, the value of the subscription or purchase tends to be higher than the value of a Page like. So you could target your entire list with ads that are relevant to the targets. And since they are already familiar to them, they are much more likely to click the ads. Custom Audiences are awesome. But let’s say that you’re a small business with a customer list that is less than 10,000 people deep. Considering only half of those email addresses are likely to be matched up to Facebook users, your target ad audience will be exhausted quickly. That’s where Lookalike Audiences come into play. Facebook evaluates the users on your Custom Audience list and generates Lookalike Audiences that represent the users that are either in the top 1% or 5% of similarity. This way, you can target users in ads similar to your current customers while not having a huge customer list. 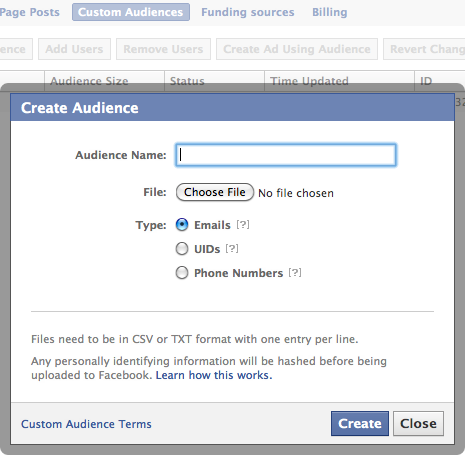 You can add in other Facebook targeting to make Lookalike Audiences even more refined. And of course, there is no requirement to have a Facebook Page to benefit from this tool. Lookalike Audiences allow you to target users similar to your customers and drive them to your website. This is one of my favorite and least utilized Facebook advertising tools. Domain Sponsored Stories promote the engagement of Facebook users with your domain, rather than a Facebook Page. For that reason, there is no connection to any Facebook Page. Let’s say that your friend Bob shared a link to JonLoomer.com. Facebook could then turn that share into an ad automatically, making sure that more of his friends saw that post. This, of course, is increasingly powerful as the audience of the person sharing a link goes up. You can benefit significantly if an ad is generated out of a person with 500,000 followers shares a link to your website as opposed to someone with 100 friends. Sure, I still recommend having and benefiting from a Facebook Page. But there are certainly ways that brands can profit on Facebook without having a Page at all. Is there anything I’m missing? Let me know in the comments below!